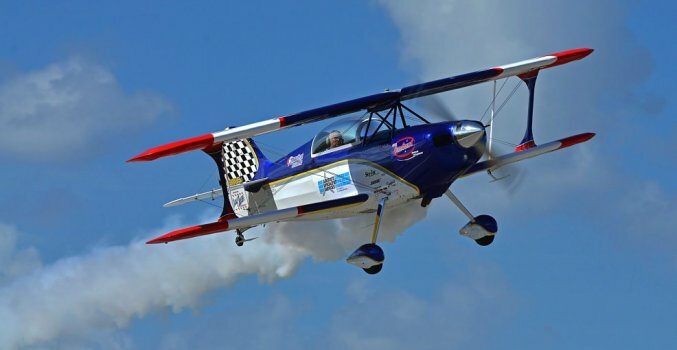 Welcome to the official website for air show performer Randy Harris. Randy, a.k.a. 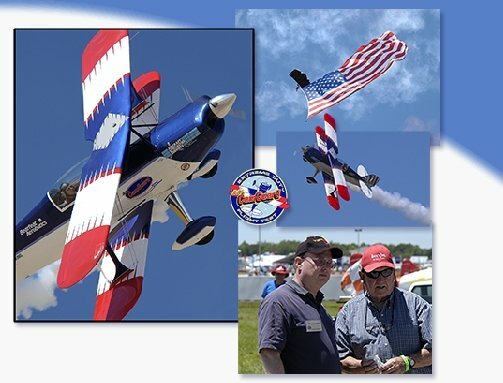 Bearfeat Aerobatics, has been performing on the air show circuit for over 20 years in the colorful red, white and blue Skybolt 300. 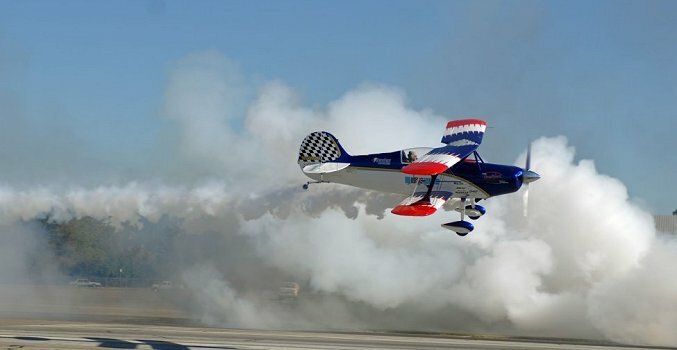 The airplane was hand-built by Randy himself in the living room of a condominium for the sole purpose of entertaining at air show events. 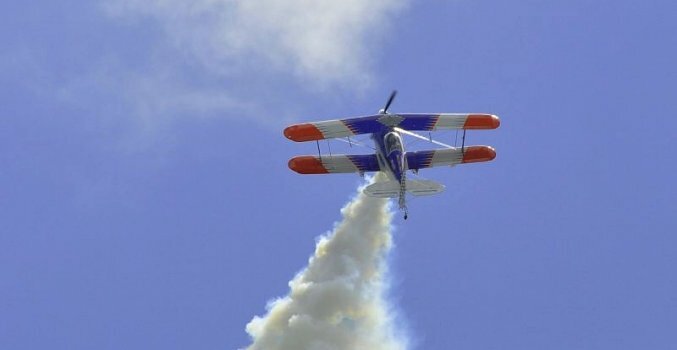 Performing in air shows involves far more work than is readily apparent to a single fan in the audience. 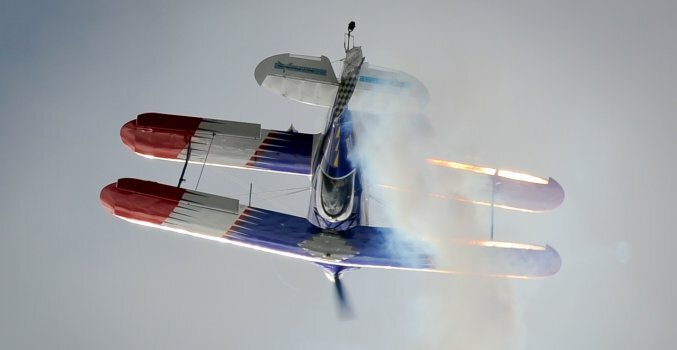 Practice flights, maintenance, logistics, and media interviews are just a few examples of the hundreds of small tasks that must be accomplished before each show. To make sure all these things happen in the proper order we have a team of volunteers working behind the scenes. They create and scrutinize every detail of our purpose, from the quality of this website, to the quality of smoke oil used at each venue. They also ensure that the safety of both Randy and the audience is never compromised. 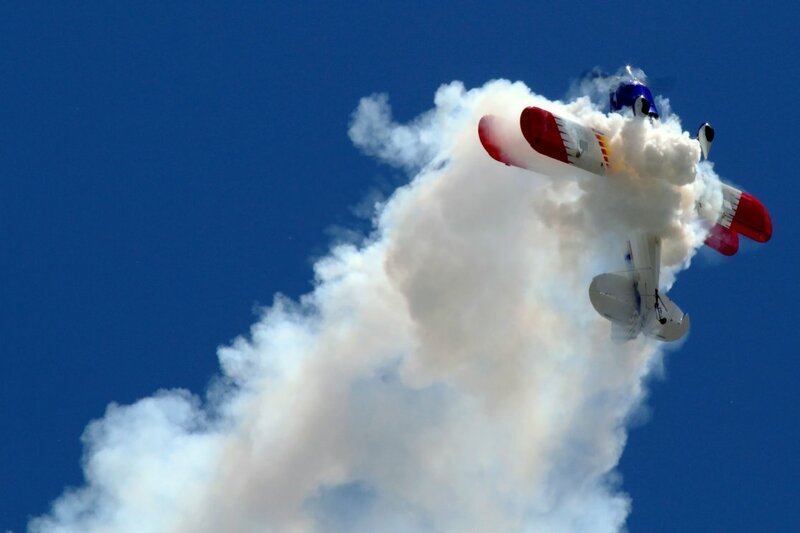 We appreciate all of our fans who visit with us at air shows. This website is for you. Our goal is to try and keep it up-to-date with changes as they occur. We hope you find what you’re looking for on our site. If you don’t, send us an e-mail by clicking on the Contacts Page. 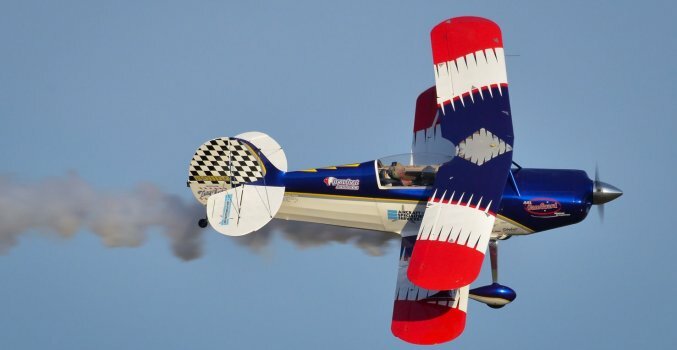 Copyright © 2017 Bearfeat Aerobatics. All Rights Reserved.